Durable, versatile and incredibly powerful, make NovaWeld SignFix 7 your adhesive of choice for bonding metals, composites and engineering plastics. Manufacturing: Use to bond bighead fasteners and other locators onto aluminium composites in the signage, construction, marine, utility, petrochemical industries, and in general manufacturing. Automotive: Protects the integrity of vehicle roofs, spoilers, vents, housings. Other: SignFix 7 is the structural adhesive solution for wind turbines, fibreglass and sports goods. 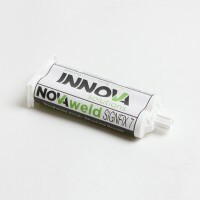 Why NovaWeld SignFix 7 structural glue? NovaWeld SignFix 7’s anti-sag properties means the bond won’t run, even on vertical surfaces. 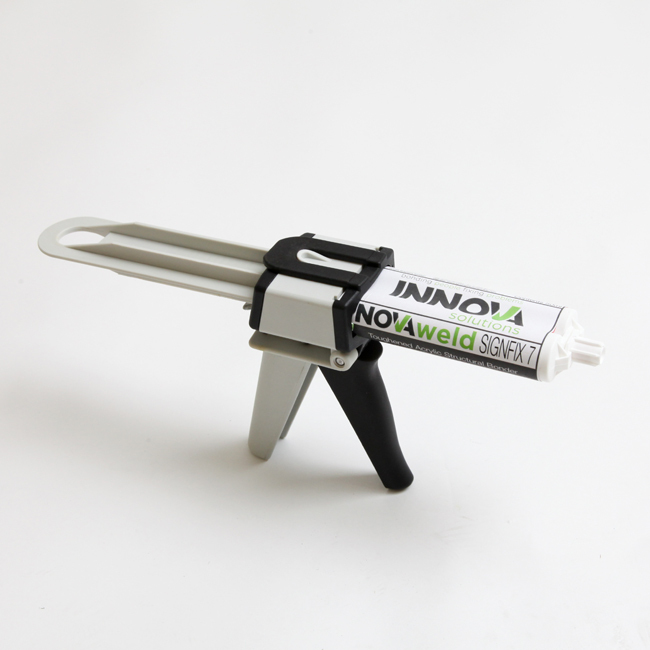 The high temperature glue formulation lets you bond metal parts prior to powder-coating and oven stoving cycles. You don’t need to prime surfaces to achieve a strong bond, and once in place the bond will be highly resistant to shearing, peeling, solvents, moisture, lubricants and cleaning chemicals – even when used to fill larger gaps. For the performance of SignFix 7 in a lower viscosity structural glue, ask for SignFix 6. Allow the adhesive sufficient time to achieve handling strength (working time is 5-10 minutes depending on environmental conditions) before moving or unclamping. Full cure and ultimate bond strength will take 24 hours to achieve. NovaWeld Sign 7 is available in 50ml and 400ml nylon cartridges for use with a dispensing gun.